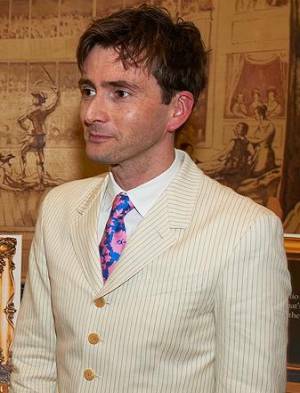 On Tuesday 18th January 2011 David Tennant was the host at the annual Radio Times Covers Party. This event is for all celebrities who have graced the cover of Radio Times the previous year. On Sunday 16th January the Radio Times announced that David Tennant would be the host at this year's Radio Times Covers Party. See here for more details. On Tuesday 18th at about 6.30pm Radio Times tweeted "Good evening from the #rtcoversparty! We're all looking very dapper in our best frocks. And yes - David Tennant is in the building..."
David Tennant was introduced on stage by Radio Times editor Editor Ben Preston and Radio Times tweeted "Our host for the evening is taking to the stage! 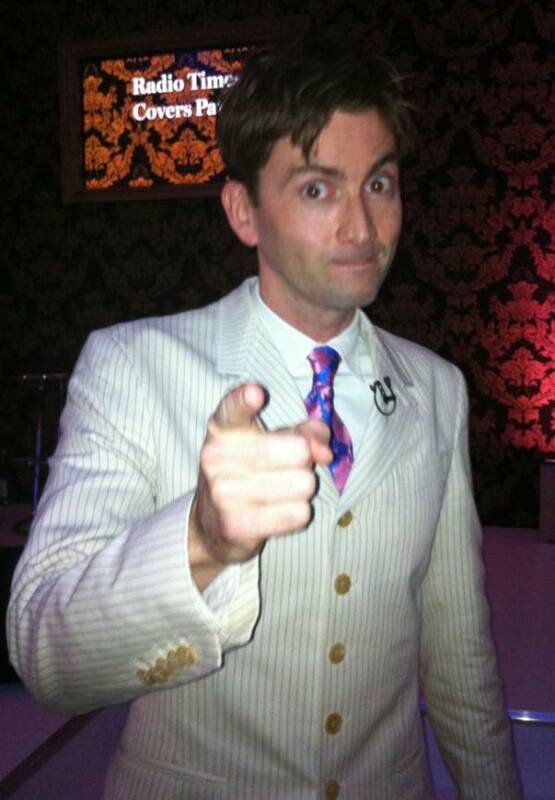 A round of applause please, ladies and gentlemen - for Mr David Tennant!" "David introduces the house band - it's Four Puffs and a Piano." "David Tennant re Doctor Who: "I've heard it's a good show."" 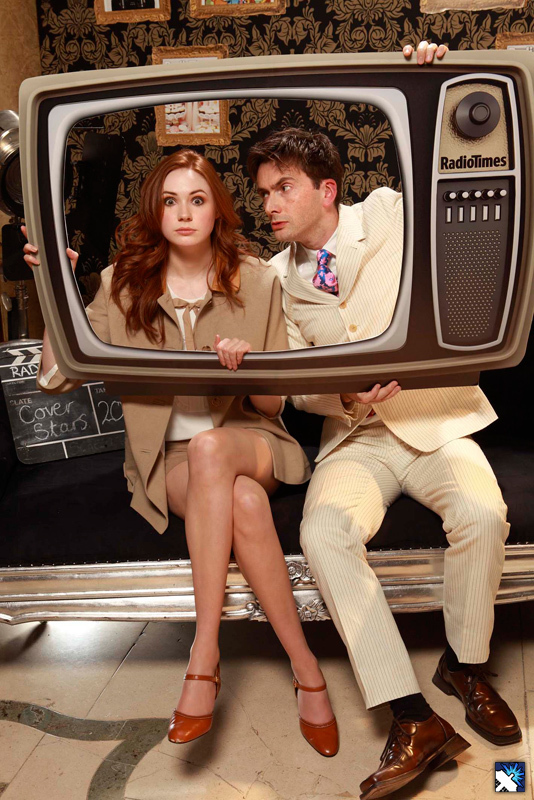 "The moment we've waited for - David Tennant presents to himself for Single Father." "Keeley Hawes and the Upstairs Downstairs gang - David has a big hug for Keeley." "As the awards come to an end, the house band gets a huge round of applause and Mr Tennant signs out and heads off to mingle!" Radio Times then posted the photo below after tweeting "Ok, people, here's the picture you've all been waiting for - our host, Mr David Tennant!"